In my teens, I dabbled with poetry that was before I discovered journaling. My style was closest to blank verse, it I ever got my head around ‘iambic pentameter’. At university I majored in English which meant I studied a fair bit of Shakespeare which I thoroughly enjoyed. It’s been many moons since those days. The last time I had an Shakespearean experience was when my family and I visited Stratford upon Avon three years ago. The kids and I landed ourselves as impromptu actors for a scene in Midsummer Night’s Dream. Let’s just say I will not give up my day job. 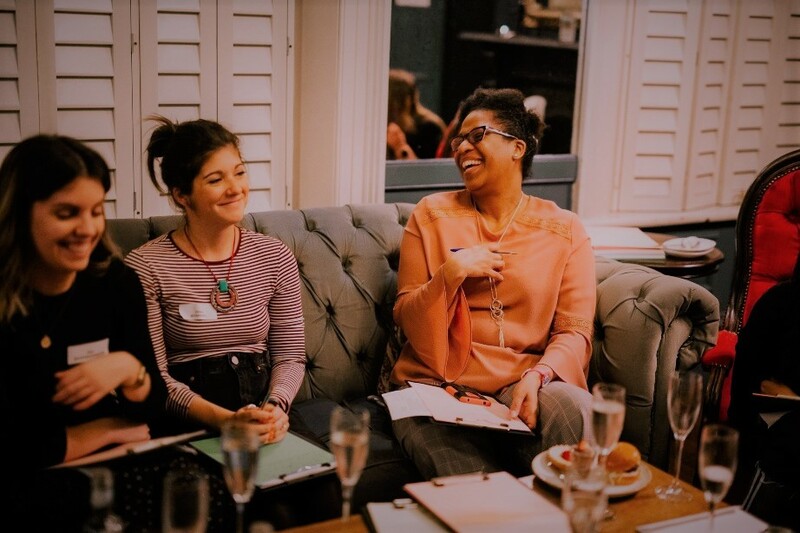 Naturally, when the invitation came from Viking Direct came to attend an evening banquet, followed by Shakespeare inspired writing workshops, a resounding ‘yes’ was the answer. On World Poetry Day, I spent a splendid evening sipping wine and writing sonnets courtesy Viking Direct. The banquet was held at the Bull & Gate pub, Kentish Town London. 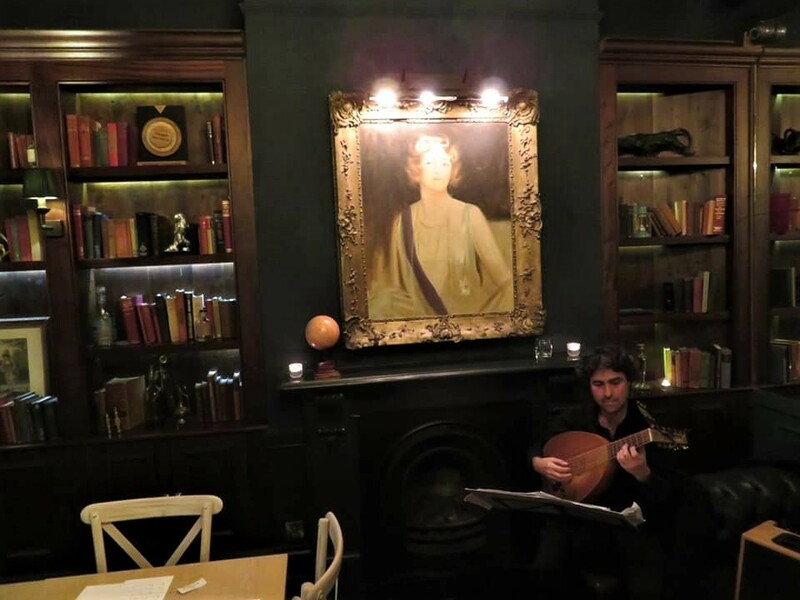 The pub is a Grade II Building whose history harks to the 17th Century as a gin palace. The Boulogne Bar was revised for the event. It was a beautiful room. I immediately felt at ease. It spoke to my sentimental broody romantic soul. The décor comprised of dark polished wood, velvet, crystal chandeliers and books all around based on the gentlemen’s club of yesteryear. After the welcoming address from our host Jennie, we were ushered to dine. The evening was spilt into two Shakespeare inspired experiences: writing sonnets and calligraphy. Attendees were spilt into two groups, one on calligraphy and the other on writing sonnets. Each workshop was 45 minutes, at the end of which we swapped places. I began with the sonnet workshop which was run by Jaqueline Saphra. It was delightful experience; she really brought life to the session, by sharing her passion and knowledge of the genre. 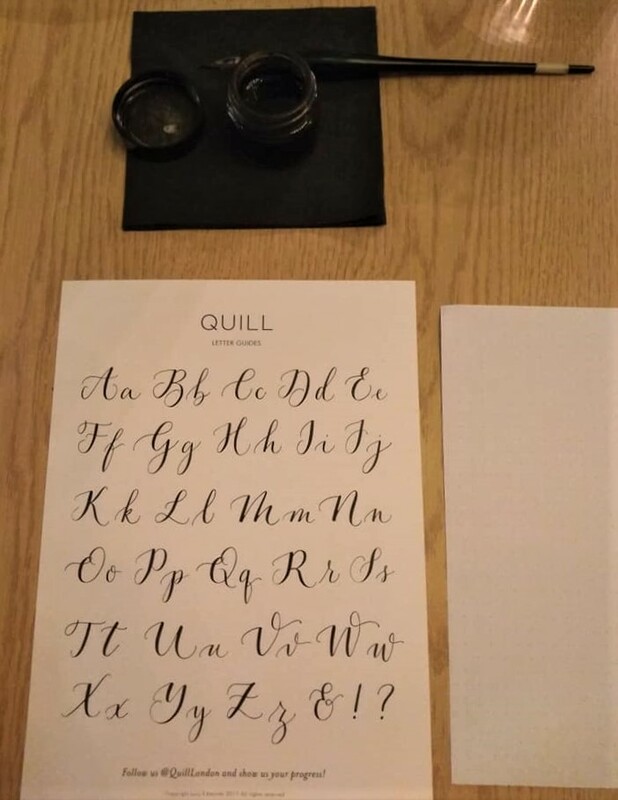 Then, I moved onto the Calligraphy session which was run by Mathilda, from Quill London. Calligraphy is another ‘skill’ I’ve left to flounder before I’d perfected back in the day. Working my letters under the tutelage of Mathilda was so soothing. I get it now why the practice of Callimantra (Mindful Calligraphy) is growing. Something about putting pen to paper, the light fluid concentrated movements required to form the curves of the letter shapes is truly relaxing; mindful. We now spend so much time on our gadget; writing is rarely done these days. When was the last time you received a handwritten letter?! Curious Pixie and I ended up in the same group. I met her previously at another blogger event, when we chatted about travelling with children. It was lovely to catch up. It’s not often that I see bloggers I know at events, this was a rare treat. 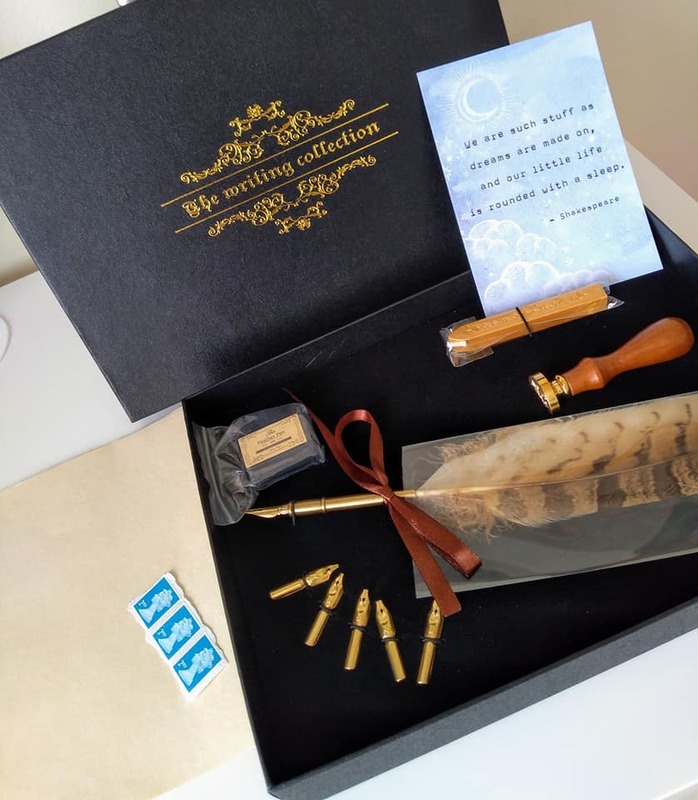 At the close of the event, we were gifted with writers set some stationery. It was probably one of the best gifts I’ve received to date. The stationery included parchment paper, envelopes and stamps. April is not just about Spring and Easter, there’s also Shakespeare. National Shakespeare Day is celebrated on the 23rd April. It’s not known exactly when Shakespeare was born but died April 23, 1616. There are a host of activities in his home town. In honour of the great Bards’ birthday why not try your hand at writing sonnets, calligraphy or how about an evening at the theatre watching one of his plays. My favourite three plays are The Tempest, Macbeth and Hamlet. So you have a favourite? Why is it your favourite? I’d love to hear from you. For more information about Viking Direct’s stationary visit their website. Thank you Vikings Direct for a memorable evening!